KLAUS SCHULZE 1 AND 2 AND KLAUS SCHULZE 3 AND 4. 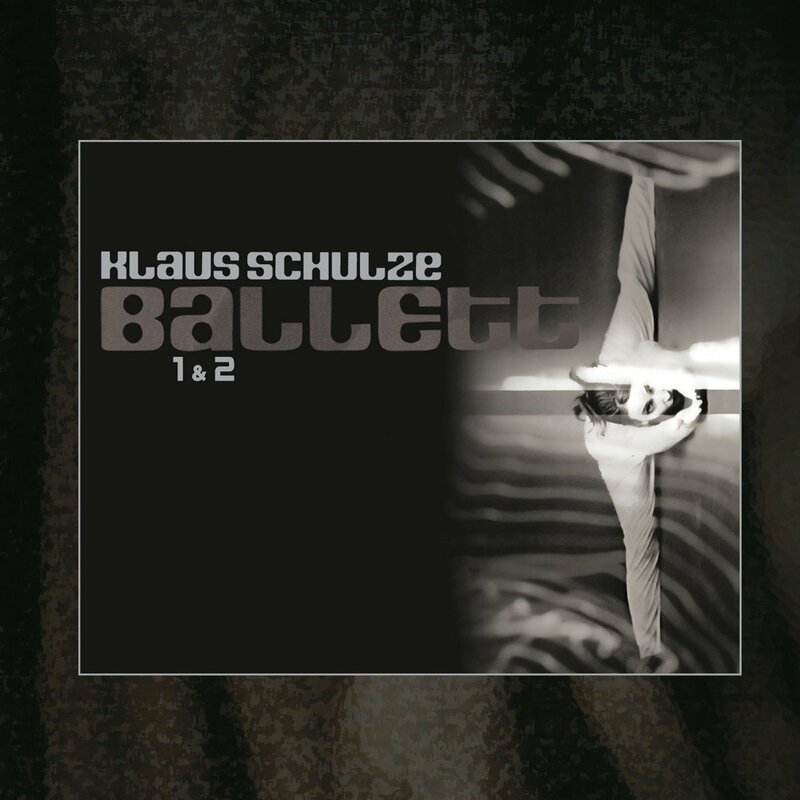 Klaus Schulze-Ballet 1 and 2 and Ballet 3 and 4. By the winter of 2000, Berlin School pioneer Klaus Schulze was fifty-three, and had already been making music for thirty-one years. He had achieved a lot over during a career that had already spanned four decades, and was regarded as one of the leading lights of the German music scene. He had come a long way since he was the drummer in Psy Free. That changed in 1969, when Klaus Schulze met Edgar Froese in the Zodiac Club in Berlin, West Germany and was invited to join Tangerine Dream. Just a few months later in October 1969, Klaus Schulze was a member of Tangerine Dream when they recorded their debut album Electronic Meditation. The future Berlin School classic was released by Ohr Records in June 1970, but failed to find an audience. This was a huge disappointment for Tangerine Dream, whose career continued, but without Klaus Schulze. He left Tangerine Dream to cofound Ash Ra Temple with Hartmut Enke and Manuel Göttsching, and the new group recorded their debut album on the ‘11th’ of March 1971.Three months later, and Ash Ra Temple, a future Krautrock classic was released by Ohr Records in June 1971. However, when it failed commercially this resulted in Klaus Schulze embarking upon a solo career. Just over a year later in August 1972, Klaus Schulze released his debut album Irrlicht. Although it was a groundbreaking album, Irrlicht failed to find the audience it deserved. History repeated itself when Klaus Schulze released his sophomore album Cyborg in October 1973. Just like Irrlicht, Cyborg was an innovative album, that was so far ahead of its time that critics and record buyers failed to recognise the importance of both albums. It was only somewhat belatedly that critics released that Irrlicht and Cyborg were both Berlin School classics. Following the release of Cyborg in October 1973, Klaus Schulze went on to work with the great and good of the Berlin School and Krautrock. Klaus Schulze also became one of the most prolific German artists of his generation, and the autumn of 2000 had already released thirty-four albums, eight volumes of his Dark Side Of The Moog series and seven albums under his Richard Wahnfried moniker. There was also the small matter of the four box sets he had released between November 1993 and January 2000. However, on the ’30th’ of October 2000 four would become five when Klaus Schulze released anther ten CD box set Contemporary Works 1 on Rainhorse Records. 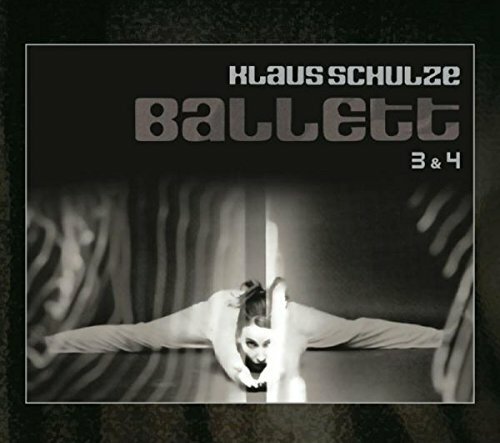 Contemporary Works 1 featured ten albums that Klaus Schulze had released between 1998 and 2000, including Ballet 1, Ballet 2, Ballet 3 and Ballet 4. Many of Klaus Schulze’s fans were keen to hear the ten albums that could be found within Contemporary Works 1’s wooden box. Especially the four volumes of Ballet which were regarded as among the highlights of Contemporary Works 1.There was a just one problem. Contemporary Works 1 was a limited edition box set that was beyond the budget of many of Klaus Schulze’s fans. These loyal fans were unable to afford Contemporary Works 1, and could only hope that the albums would be released individually at a later date. Especially the four volumes of Ballet, which were hailed as some of Klaus Schulze’s best albums of recent years by those who had bought Contemporary Works 1. It wasn’t until 2006 that Ballet 1 and Ballet 2 were released by Rainhorse Records. At last, those who hadn’t been able to afford to buy the Contemporary Works 1 box set got the chance to hear the two albums. They weren’t disappointed and awaited the release of Ballet 3 and Ballet 4. They were released a year later by Rainhorse Records, and at last, the Ballet quartet was available for all of Klaus Schulze’s fans. Those that were fortune to obtain copies of the Ballet all agreed that it had been the wait. Ten years after the release of the last two instalments in the Ballet quartet, Klaus Schulze was approaching his seventieth birthday when MIG Music released Ballet 1 and 2 and Ballet 3 and 4 as two CD sets. They were just the latest instalment in MIG Music comprehensive reissue programme of Klaus Schulze’s back-catalogue. Throughout his career, Klaus Schulze had always been a prolific recording artist, who often recorded and released two or even sometimes, three albums a year. This included studio albums, live albums and a series of albums which he recorded as Richard Wahnfried. These albums were often very different stylistically and showcased the different sides to Klaus Schulze. So did the many collaborations that Klaus Schulze had released by the autumn of 2000. By then, Klaus Schulze had just finished what was one of the busiest two-year periods of his long and illustrious career. Two years earlier in 1998, Klaus Schulze began recording the ten albums that would feature on his the Contemporary Works 1 box set. Over the next two years, he spent much of his time sculpting and honing the ten albums using the banks of synths in his studio. Sadly, in 1998 tragedy struck for Klaus Schulze, when his mother passed away. All of a sudden, music no longer seemed important for Klaus Schulze. When Klaus Schulze returned to the recording studio, he had decided to record a series of his albums that paid tribute to his late mother. She had been a ballet dance, and Klaus Schulze began recording the four albums that became Ballet 1, Ballet 2, Ballet 3 and Ballet 4. The Ballet quartet was a very personal project for Klaus Schulze, and featured some of the best music he released during the late-nineties and early noughties. When Klaus Schulze began recording Ballet 1, it was the first album he had recorded since his mother’s death. Klaus Schulze was till grieving, and trying to come to terms with the death of his mother. Part of the grieving process for Klaus Schulze was to record a series of albums that paid tribute to his mother who had been a ballet dancer. The first of these albums was Ballet 1, which featured two of Klaus Schulze’s own compositions Getting Near and Slightly Touched, a thirty minute epic. These two tracks were joined by Agony which was written by German cellist Wolfgang Tiepold, and lasted nearly thirty-seven minutes. However, by the time Klaus Schulze had completed the recording of Ballet 1, he knew in his heart of hearts that nobody would ever dance to the music on the album. There was a reason for that, Slightly Touched and Agony were far too long, and if they were to feature in a ballet, they would need to be heavily edited. Klaus Schulze wasn’t willing to do this, as he knew that he would have to discard many of his favourite parts of Slightly Touched and Agony. This he wasn’t willing to do. He would rather that nobody danced to the carefully crafted music on Ballet 1, and that the album was seen as a fitting tribute to his late mother. That was certainly the case. Ballet 1 was a mixture of ambient, Berlin School and classical music, partly due to the addition of the strings. They play their part in creating the drama on Getting Near. The classical influence can be heard again on Getting Near, where wistful, weeping strings are part of a genre-melting track. Elements of ambient, Berlin School and classical music are combined during an understated and ruminative sounding track that invites reflection. Other times, the music is ethereal, melancholy and cinematic as its beauty washes over and continually captivates. Agony is a soul-baring thirty-seven minute opus that oozes emotion, sadness and a mournfulness that is incredibly moving. It’s completes Ballet 1, which is first part of a carefully crafted and lovingly created tribute to Klaus Schulze’s mother. Having recorded Ballet 1, Klaus Schulze began work on Ballet 2, which featured four new compositions. This included Atmosphère Concrète and Kagi’s Lament a sprawling thirty-minute epic. It was joined by Wolf’s Ponticelli that featured cellist Wolfgang Tiepold, and The Smile Of Shadows. On the reissue, Trance 4 Motion is included, and will be of interest to Klaus Schulze’s legion of fans, as the track never made it onto the original album. Just like Ballet 1, Ballet 2 featured a mixture of ambient, Berlin and classical music. There was also an element of avant-garde and Musique concrète on Ballet 2, especially on Atmosphère Concrète which veered between balletic, ethereal and expire mental as if Klaus Schulze was creating a futuristic ballet. Kagi’s Lament was the centrepiece of the album and showcased an ambient and cinematic track that in places, had been inspired by various types of ethnic music. The result was a haunting, mesmeric and beautiful track that paints pictures and takes the listener on a journey. There’s an increase in tempo on Wolf’s Ponticelli before the arrangement glides along showcasing a dreamy, elegantly and ethereal ambient track. Just like Kagi’s Lament, The Smile Of Shadows, which closes Ballet 2, has a haunting and cinematic ambient sound that meanders along as its break taking beauty proves melodic and memorable. Unlike the two previous instalments in the Ballet quartet, Ballet 3 featured just one seventy-six minute track, My Ty She. This was one of the most ambitious tracks that Klaus Schulze had created. For the recording, cellist Wolfgang Tiepold was joined by oboist Tobias and flautist and violinist Thomas Kagermann, who joined Julia Messenger and Tom Dams is adding vocals on Ballet 3. For his part, Klaus Schulze sculpted and honed synths on My Ty She which became Ballet 3. However, on the reissue of Ballet 3 and 4, Schauer Der Vorwelt is added as bonus track. This is a welcome addition. My Ty She is a beautiful, emotive, haunting and moving opus that was also ethereal, elegiac and sometimes, melancholy and ruminative. Other times, My Ty She the music was elegant, graceful and fittingly, balletic. The addition of the vocals added to beauty and emotion of My Ty She as Thomas Kagermann, Julia Messenger and Tom Dams deliver heartfelt, impassioned vocals that are full of emotion. They also added to beauty and emotion during My Ty She. Later, the arrangement veers towards futuristic, before much later, becoming dramatic before a gypsy violin sits above the pulsating, hypnotic synth. By then, an ambitious genre-melting opus has revealed its secrets, subtleties and surprises as Klaus Schulze and his handpicked ensemble has taken shape. It features elements of ambient, avant-garde, Berlin School, classical music and electronica on what was a welcome addition the Ballet quartet. For Ballet 4, which was the final instalment in the quartet, wrote Mellowtrone, Soft ‘n’ Groovy a thirty-minute centrepiece and To B Flat which lasted twenty-four minutes. One track that didn’t make it onto Ballet 4 was Eleven 2 Eleven, which features on MIG Music’s reissue of Ballet 3 and 4. Klaus Schulze was joined by cellist Wolfgang Tiepold, oboist Tobias and flautist, violinist and vocalist Thomas Kagermann. The four men set about recording Ballet 4, which was the final instalment in Klaus Schulze’s tribute to his late mother. Opening Ballet 4 was Mellowtrone, which although it has wistful, ruminative sound, it’s one of the most beautiful tracks Klaus Schulze recorded for the Ballet quartet. Mellowtrone with its fusion of ambient and classical music has also a cinematic sound, and wouldn’t sound out-of-place on the soundtrack to costume drama. Initially, the arrangement to Soft ‘n’ Groovy is slow, spacious and understated with strings to the fore as the track begins to reveal its secrets. During the next thirty-minutes, strings, synths and Thomas Kagermann’s vocal play their part in the sound and success of the centrepiece to Ballet 4. Especially, the strings which veer between urgent to emotive and full of beauty. Meanwhile, the synths provide the counterpoint during this genre-melting epic that features elements of ambient, classical and electronic, as traditional instruments and technology combine. It’s a similar case on To B Flat which closes Ballet 4. It veers between dark, futuristic and otherworldly to ethereal and haunting, to urgent and even ruminative and wistful. To B Flat is an emotional roller coaster that brings to close Ballet 4, which was the final instalment in Klaus Schulze’s four album tribute to his late mother. The Ballet quartet made their debut on the Contemporary Works 1 box set, in October 200, and since then, have been reissued twice. MIG Music released Ballet 1 and 2 Ballet 3 and 4 as part of a comprehensive reissue programme of Klaus Schulze’s albums. Ballet 1 and 2 Ballet 3 and 4 are hidden gems within Klaus Schulze’s back-catalogue and are oft-overlooked. To some extent, that is no surprise. Ballet 1 and 2 Ballet 3 and 4 made their debut in the limited edition Contemporary Works 1 box set, which was beyond the budget of many of Klaus Schulze’s loyal fans. Even when Ballet 1 and 2 was released in 2006, and Ballet 3 and 4 was released in 2007, many of Klaus Schulze’s fans struggled to find copies of the reissue of the Ballet quartet. It’s only the recent reissue of Ballet 1 and 2 Ballet 3 and 4 when many of Klaus Schulze’s fans have finally discovered these four albums. Finally, they’re able to hear the albums that were regarded as Contemporary Works 1 box set, and discover that Ballet 1 and 2 Ballet 3 and 4 were fitting tributes to Klaus Schulze’s mother who had passed away in 1998. For lifelong Klaus Schulze fans and newcomers to the Berlin School pioneer’s music, then Ballet 1 and 2 Ballet 3 and 4 are the perfect starting place. They’re more accessible Klaus Schulze’s 1972 debut album Irrlicht and his sophomore album Cyborg which was released in 1973. While both albums initially failed to find an audience, they’re now regarded as Berlin School classics. Klaus Schulze is regarded as one of the pioneers of the Berlin School of Electronic Music, but during Ballet 1 and 2 Ballet 3 and 4 he combines several musical genres. This included ambient, avant-garde, Berlin School, classical, electronica, experimental, Krautrock and Musique concrète. Each of these genres can be heard on Ballet 1 and 2 Ballet 3 and 4, which are hidden gems within Klaus Schulze back-catalogue and showcase the considerable talents of the Berlin School pioneer as he pays tribute to his dearly departed mother. ← GIL SCOTT-HERON-AMERICA’S SOCIAL CONSCIENCE: 1970-1980 THE GOLDEN ERA.